The holidays are over and as the new years starts brides can get back to focusing their attention to their big day. With most weddings still happening in the summer months it is time to get things in order. As I mentioned in my previous blog I met some great vendors at the Winter Holiday Sale last month and my next three blog entries are going to highlight some great businesses that brides can use for their wedding. Let’s start off with bridesmaids, what are they going to wear? It’s always hard to please a group of ladies with one dress design so why not have the dresses custom made and at a reasonable price! 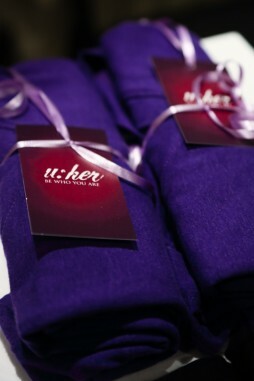 U:her, whose signature is to ‘be who you are’, creates beautiful pieces that are ‘classic but with a modern twist’. 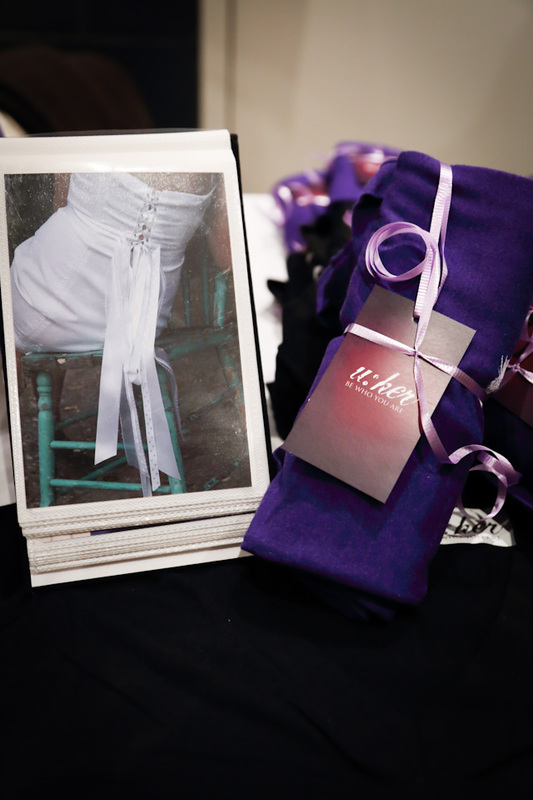 Tiffany, the creative mind behind U:her, is great to work with and will take the time to create a perfect vision for your bridesmaids and your wedding day. Not only will the bridesmaid dresses be different from any other wedding but the dresses will fit perfectly which means they will be figure flattering and your friends will LOVE you for that! Tiffany also has a line of silk screened bamboo T-shirts and dresses which she does by hand and the silk screen designs are her hand drawn fashion illustrations. What a great and unique idea as presents for bridesmaids! Here are some shots of these items taken at the Holiday Sale. This entry was posted in bridesmaid's gifts, bridesmaids, dresses, Holiday Sale, Tiffany Uher, U:her fashions and tagged bridesmaid dresses, bridesmaid gifts, custom made, one of a kind, silk screened bamboo t-shirts and dreses, Tiffany Uher, U:her.